Currently Piper and I have a little mother/daughter project exploring the world of Korean skin care. To read more about the project’s origins, check out this previous post Our Korean Skin Care Project. The Korean Multi-Step Skincare Routine. The first thing you learn about Korean skin care is that there are, at least compared to Western skin care, a lot of steps. I saw routines with anywhere from 8 to 16 steps, and while the number of steps vary, there were a few constants. Here is a list of the steps you most likely find in any morning Korean skin care routine. That sure seems like a lot of steps! There are more steps like exfoliate, sheet masks and sleeping packs, but you may choose to used them in the evening, a few times a week or not at all. So when someone tries to tell you Koreans have 16 steps to their morning and evening routines, they have probably misunderstood, are exaggerating to make a point or just being a drama queen. For instance, it would be rare (but not impossible) for someone to use a sheet mask as part of their routine twice a day. 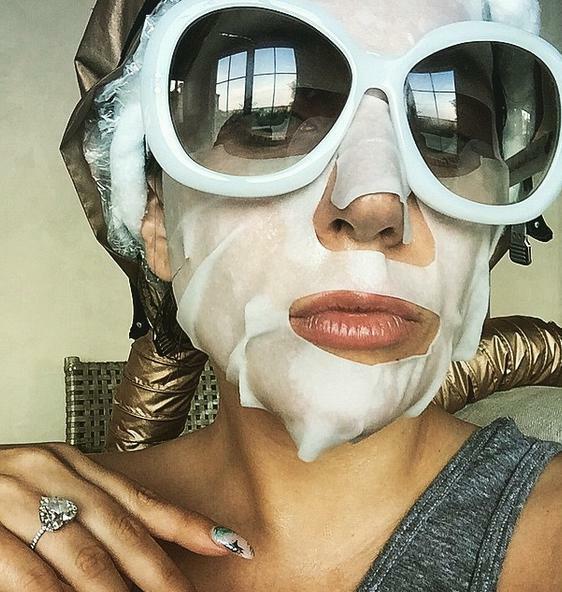 Or, you might exfoliate, then sheet mask before a big event, but not every day, twice a day. You would need to have a lot of money, a lot of down time and be pretty obsessed with your looks, so I’m thinking Kardashian possibly. For the rest of us, 7 to 8 steps would be the maximum, which is still a lot compared to what we are used to, but not unworkable. For our project we have decided to follow the morning routine set out above. I will double cleanse in the morning because my skin is a little dry and could benefit from more hydration. Piper will only use the foam cleanser in the morning, but double cleanse in the evenings. We will use a rotation of Exfoliate, Mask and Sleeping Pack, which we have dubbed EMS (I’m pretty sure she tried to make the acronym BTS, but couldn’t figure out how), in the evenings, leaving Saturday night as a wild card to do whatever extra treatment we want, or none at all. That’s the plan. The next step is to choose the products, there are a lot of products available, so it is going to take some research to find ones that are right for our skin types and that fit into a manageable budget. 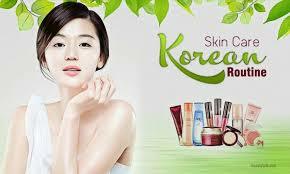 There are lots of places to learn about Korean skin care. We will review some the best resources to help learn about the routines and products. If you are interested you can find that post here on Dazey Mayhem. I would love to hear your experiences and recommendations. As we have established, I have a weakness for skin care products and routines. I spend a little time as possible doing my makeup, that is if I do anything at all. Therefore, I need the healthiest skin I can possibly have, so I have always been into skin care. I have used Murad, Principal Secret, Clarins, Clinique, Meaningful Beauty, Mario Badescu, you name it, I probably bought it. Imagine my delight when I found out that Koreans are obsessed with skin care just like me. Oh my goodness, so many, many products, brands, YouTube videos, sheet masks, ampoules, serums, books, theories, routines, did I mention the products, there are literally thousands? Heaven for a skin care addict like me. I went completely down the rabbit hole. Piper and I decided to do a mother daughter skin care project. It was not hard to convince her since she is obsessed with all things Korean, and I was buying. Since I got no jams when it comes to crafts, I consider this my digital scrapbook, and this will the journal of our venture into the world of Korean Skin Care. The latest of our life projects here at Chez Mayhem. You are welcome to follow along if you find it helpful, informative, fascinating, inspiring, horrifying, amusing or any combination thereof. When I started hearing about Korean skin care the only thing I knew was there were a lot of steps, the packaging was cute but kind of juvenile and they use weird and exotic ingredients. Turns out all of this is true, but there is so much more to learn. After a lot of research, the following what I discovered to be some of the primary differences between the American and Korean approach to skin care. The Koreans are in this for the long haul. While they may want, they do not emphasis fast results. In America, faster is better and immediate is best. None of the products I researched, with the exception of some masks, even mentioned fast results. They all emphasis nourishing and protecting the skin. Clearly, they are playing the long game. In our culture, we have a very can-do attitude. If it’s not working right we can fix it through hard work and ingenuity. If we have a pimple we will blast it into oblivion. If our skin is dry we will smother it in cream until it can’t drink up anymore. 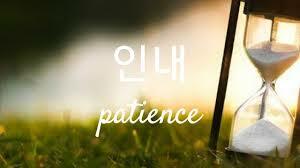 The Koreans seem to approach it with more patience. They gently cleanse, balance the ph levels and replace the oils with light layers of products. They draw pimples out with sheer patches rather than squeezing and then drying them out. When skin is dry, they use hydrating toners and watery essence which allows the skin to slow sip up the hydration and hold onto it. In short, they are more like the caring parent of their skin, rather than the overly enthusiastic coach. Good skin care habits starts young in Korea and they are not the sole province of women. Much like we teach our kids to brush their teeth (and floss, don’t forget to floss) twice a day, Koreans teach their kids to wash their faces, and, empathize the need to apply sunscreen everyday. In America, skin care is by and large a female endeavor. Oh sure you have the random male advocate for good skin care, but the average American man thinks it is perfectly acceptable to use the bar soap in the shower on his face. Yes, the same soap that just lathered up his chest, feet and hind quarters. Guys are generally not that concerned about their skin until it is broken out or damaged from abuse, then they might take action, maybe. More Korean men view skin care as just part of daily life. I doubt they all participate in 10 step routines or have the flawless makeup of a K-pop idols, but they are clearly more active participants in beauty culture, which may explain why Korea has so many brands and stores. You have to admit for a country of 51 million people they produce a huge share of the world’s skin care products. In America we love skin care products with ingredients cooked up in a lab that are effective and efficient. 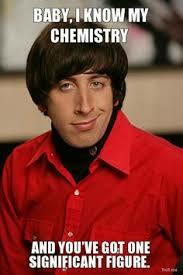 Better living through chemistry. A striking feature of Korean products is the reliance on things found in nature like birch sap, licorice root, honey, green tea, apple juice and yes, snail muscin (aka slime). The descriptions of these products talk about things like supporting, nourishing and brightening the skin. There is rarely any hyperbole or sales language in the descriptions, or maybe there is but since it’s in Korean I don’t see it. One brand, COSRX replaces water in most of its products with natural liquids like willow bark water, and alcohol is used very sparingly. Water and some form of alcohol are used in almost every product in American. Of course there are some chemicals in Korean products, especially in the sunscreens, but they are far more reliant on natural ingredients, than their American counterparts. 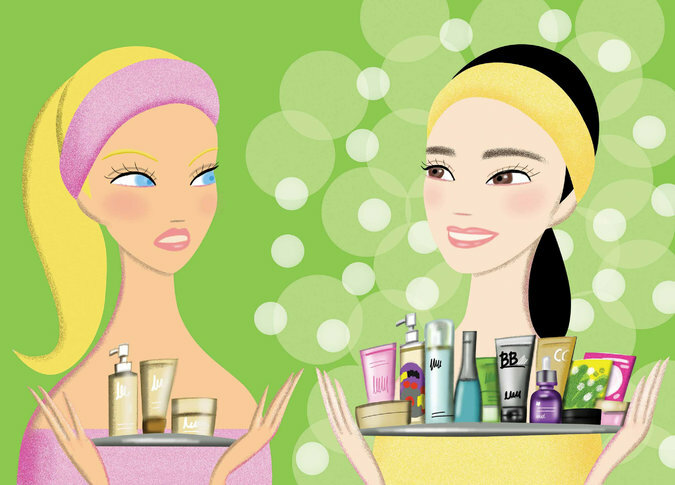 In my next post I will go over the most well-known feature of Korean skin care, the multi-step approach. If you are interested in learning more, you can check it out here on Dazey Mayhem. I would love to hear your experiences with Korean Skin Care and recommendations.